Your website is the source through which one can easily interact with the world and the potential customers. 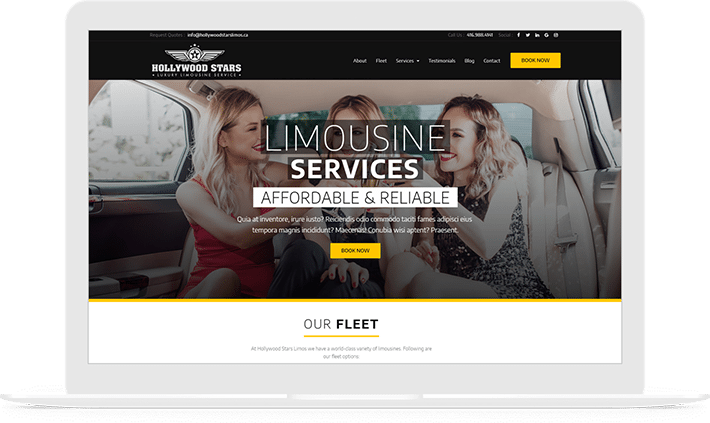 The Limousine rental industry is booming particularly and Kinex Media has helped many brands to boost by developing engaging websites for them. 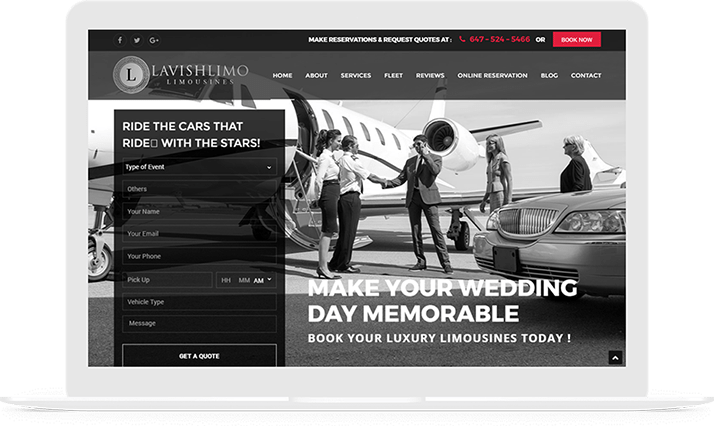 Our highly skilled and professional team is here to provide you with the most amazing limo website designs. 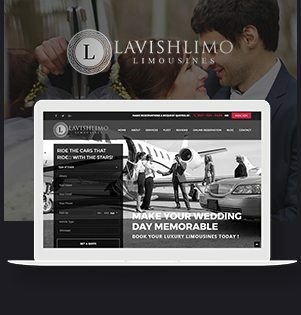 Lavish Limousines is a professional fleet rental company who offer the eye-catching and mesmerizing limousines for every occasion in the Greater Toronto Area. A supreme and cardinal organization whose main priority is client’s contentment. They provide world-class services and professional chauffeurs who are courteous and are having handsome experience. 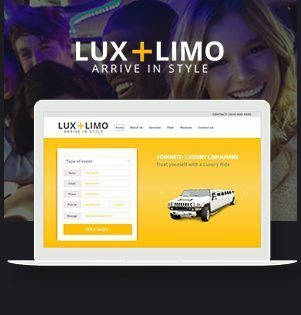 Lux Plus Limo is a highly renowned and acclaimed brand that provides the best limousine services for all the special occasions. Their services are affordable and their well-trained chauffeurs can take you anywhere around the city as they are well-known with the routes. They have built a strong relation with their clients because of their credible services. 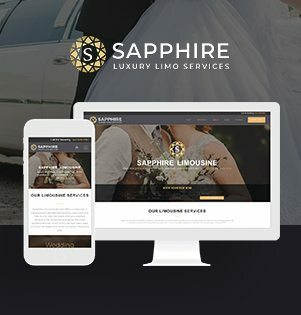 Sapphire Luxury Limousine Services is a highly acclaimed limousine rental company in Toronto that provides exceptional and outstanding transportation services to their clients. Their services are cost-effective and they strive to provide the best limousines for all types of occasions. All their vehicles are embedded with newfangled technology like GPS, tracking and navigational system. 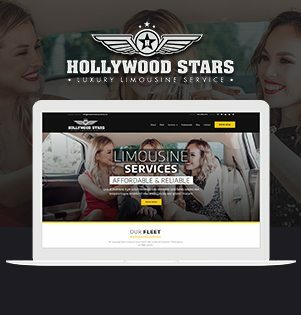 Hollywood Star Limos, located in Toronto is a highly acclaimed and well-renowned brand that specializes in premier luxury limousine service throughout Ontario. They provide the 5-star quality facility and their exotic fleets are well-maintained and updated with cutting-edge technology. They provide quality services to their clients and their chauffeurs are highly experienced professionals having handsome experience. 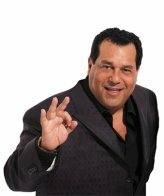 We are here to give the life to your dreams and comprehend your vision. 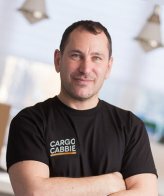 Our world-class experts have been able to achieve the impossible goals and have set the remarkable standards for our industry. Our logical approach and a proper methodology have always led us to new paths of success. 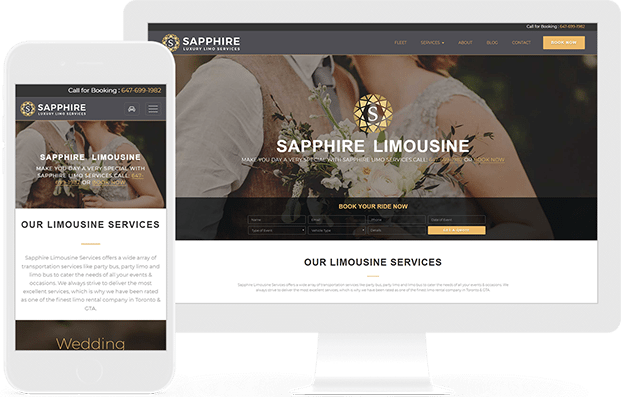 Our well-trained designer’s team is highly efficient at creating the best limousine website designs that has provided mesmerizing designs to many websites. 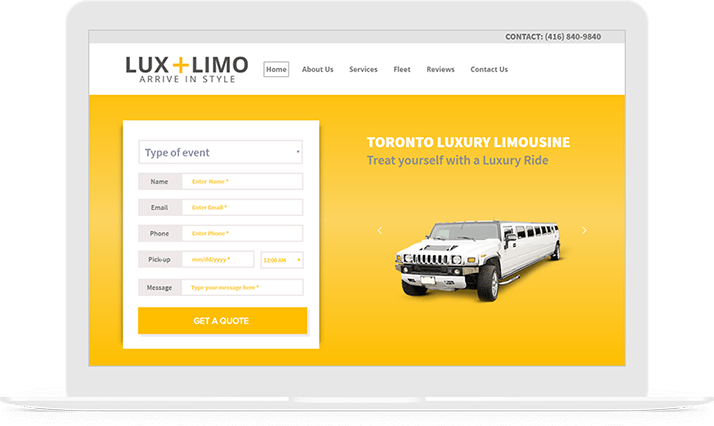 Our team in Toronto has helped many renowned limo organizations in terms of developing and redesigning websites. We try to follow a systematic approach and a process wheel to develop the eye-catching and supreme websites that bring more advanced conversions by amalgamating technology, expertise, and creativity. Our skilled content writer’s team organizes the structured information for your website so that appropriate information is passed to the clients. It is important for us to understand even the small requirements of our clients and we begin by having a brief analysis on the same. We believe in knowing in-depth about our client’s requirements and expectations so that we are able to give clear vision to their goals. We listen to their ideas and have an effective medium of communication with them. It is mandatory for our team to know about the mood, likes, and dislikes of our client. •	What is the purpose of this website? •	Who’s the target audience? We communicate with our client openly on various topics like budget, the scope of project, timeline, and ownership. After a thorough analysis, we start our work. 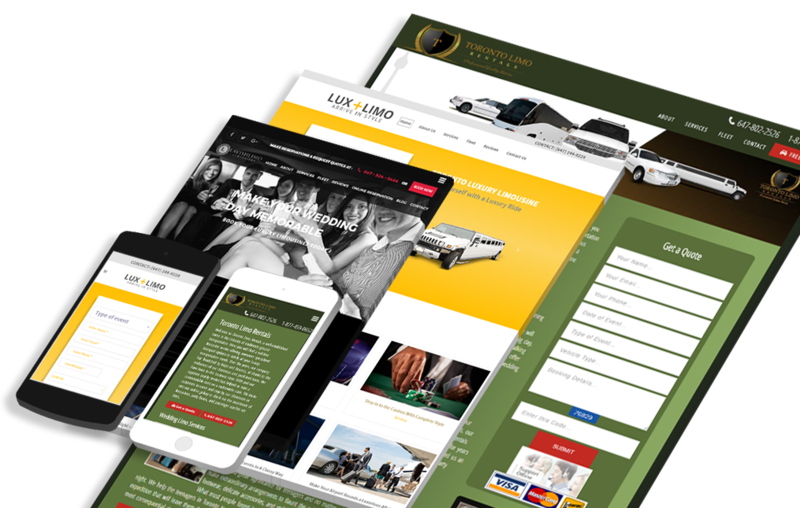 The second step we follow is to research the ideas extensively for limo website design and development rather than working directly. Our designer team starts work by brainstorming ideas and making a brief sketch of all the ideas that pop into their head. Our team tries to understand even the small minute details about the project. Our ideas are integrated with technology and creativity and our team starts developing a brief sketch of the websites by choosing the best layouts, designs, animations etc. We scrutinize the competitors of your industry and make the mandatory changes based on that. Knowing about your competitors helps us in developing a first-class and fabulous strategy to help boost your business. 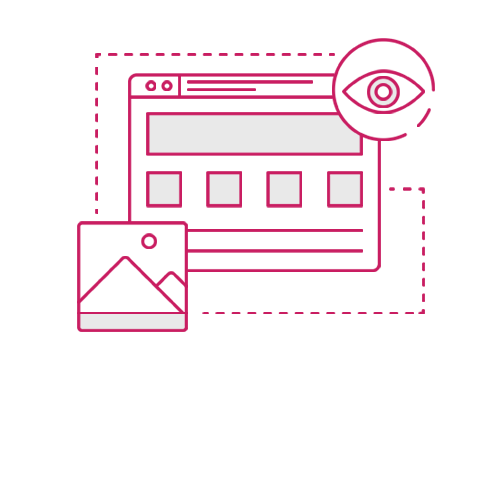 Our team then starts with the work to provide our clients with the ultimate and outstanding web designs. 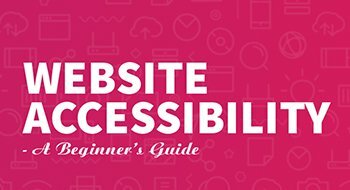 The third phase our team follows is to create a blueprint of your website. 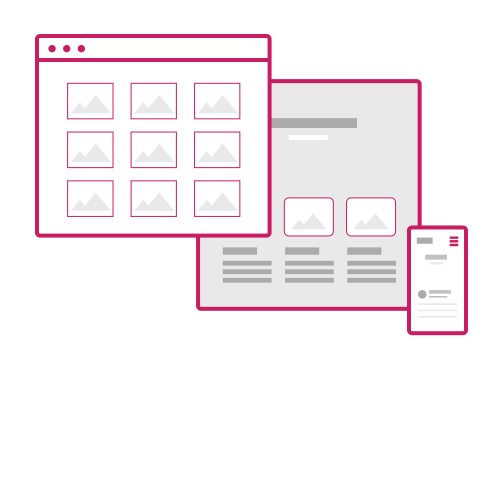 Wireframes are really effective in terms of giving your website a visual structure. Our team starts work by listing all the elements to be included on the web page. We meet with our clients to discuss the best placement for the content. A strategic information hierarchy is followed which helps us in making any necessary alterations before we go too far ahead. 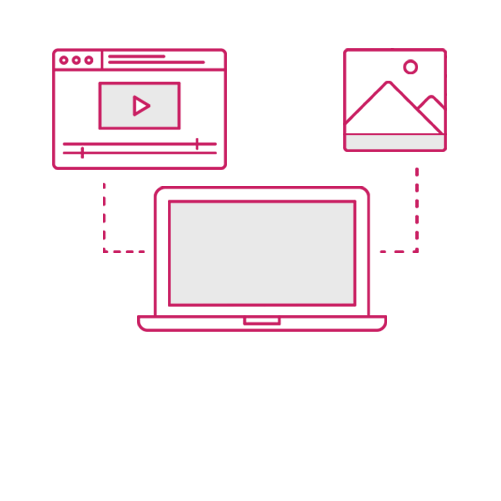 Our team creates interfaces based on certain aspects of how elements are going to interact with each other, how the visitors should move around your website. Kinex Media’s team believes that designing a website is like designing a house which needs a well- planned approach. We integrate the style tiles and the wireframes and construct a prototype that is a model of the website before its actual launch. It helps us in knowing how the website will look like and also understanding the client’s fundamentals so that the relevant changes can be made. Our team tries to implement the style tiles into the layout while adapting user experience and ensuring design ease-of-use. After a series of processes, the polished design is sent to the development team where our efficient web developers start with the next process. Kinex Media’s entire team in Toronto assists their clients 24 *7 so that they can have the best websites for their brand. 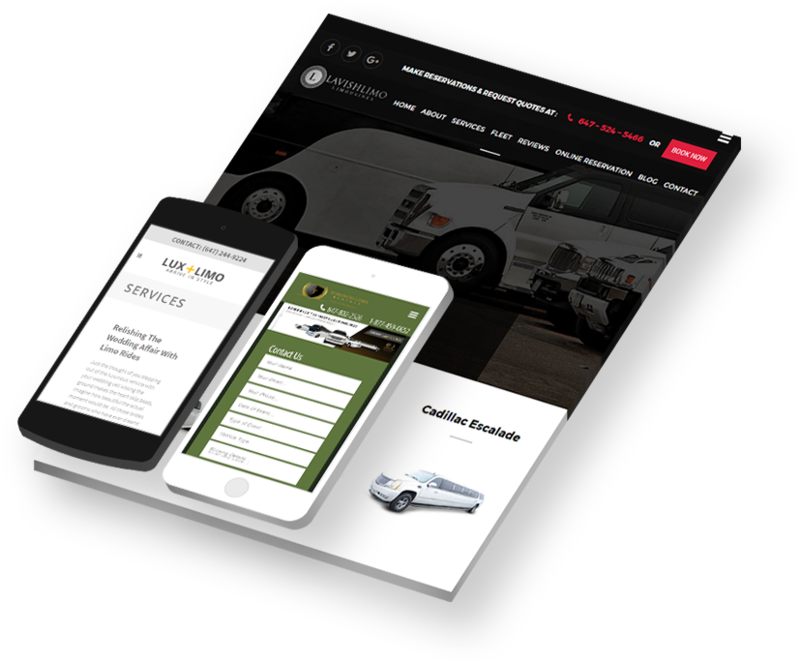 The most imperative thing about a limousine website design is its content. 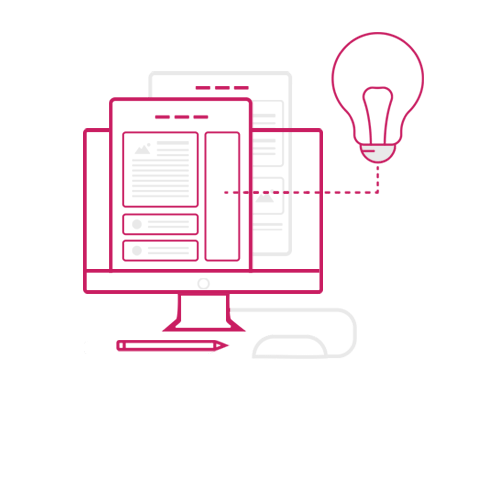 Our highly efficient and skilled content writer’s team develops the unique and engaging content for your website. Content is written in a well-organized form and it is of relevance to your industry and can help boost your business. Our efficacious content developer makes sure that the content is logically written and that the convenient information is passed to the customer. We place confidence that the content is the only foremost factor that can bring ample of traffic to your website. Using the right SEO strategy along with fresh content, we design the astonishing websites in the surprising ways possible.